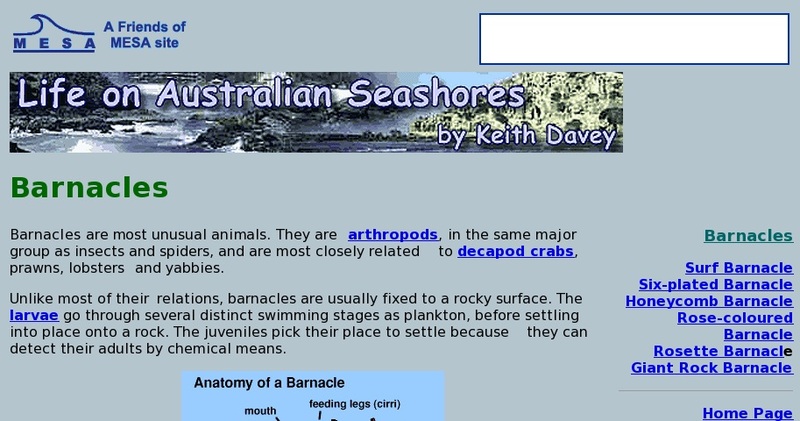 Introduction to barnacle classification, anatomy, biology, reproduction and life cycle. Excellent color graphics. Also includes: profiles for six Australian species; diagram of barnacles in intertidal habitats; and discussion of barnacles as intertidal indicator species. Accessible and accurate.